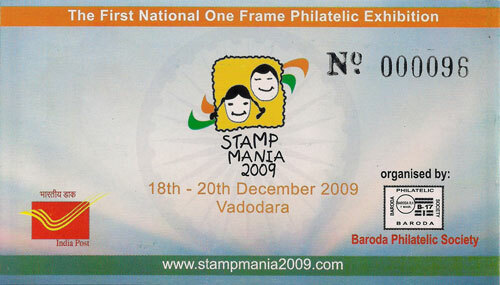 As a part of ‘STAMPMANIA 2009’ the First National One Frame Philatelic Exhibition being organized by Baroda Philatelic Society, Vadodara from 17th to 20th December 2009 and to celebrate 63rd Independence Day of India, Baroda Philatelic Society with the help and support of Department of Post, has released a Special Commemorative Cover and a Stamp Booklet on 15th August 2009. 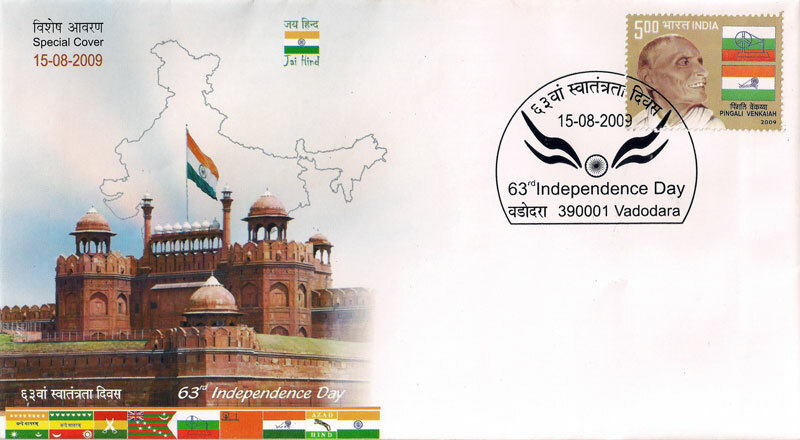 Special Commemorative Cover depicts the Red Fort of Delhi and 9 different flags used during the freedom movement of India. 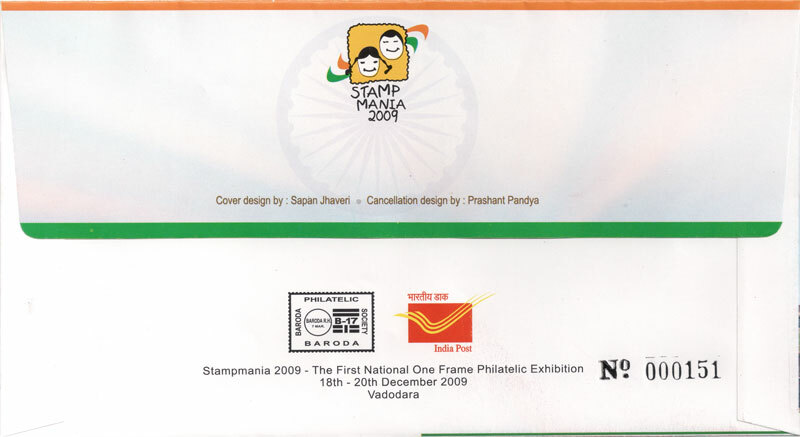 Cover Page of Stamp Booklet depicts Red Fort of Delhi and the inner cover page has been left blank. First page has a photograph of Mahatma Gandhi, Subhash Chandra Bose and Sardar Vallabhbhai Patel with Tri Colour Flag and Jai Hind in Hindi and English. 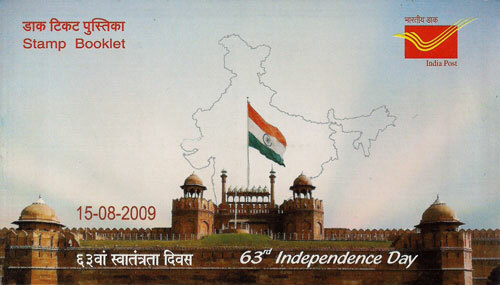 Next four pages of the booklet has been contributed to 8 different flags used during the freedom movement of India with information about those flags. Next page again depcits present Tricolour Flag and Red Fort - the Landmark of India's Freedom with description and next pages shows design of Special Cancellation used for Special Cover.One more blank page has been provided in the booklet and the last inner cover page pays tribute to Shri Venkayya who designed the Indian National Flag. During 1916 to 1921 he researched flags of 30 countries and finally came up with the present tricolour flag.